Some people greet the need for new tyres with all the relish of a visit to the dentist. My experiences aren’t too dissimilar. Both invariably involve a brief spell in a waiting room, surrounded by three-year-old copies of Woman’s Weekly and you’ll inevitably get a nasty shock when you’re presented with the bill. But whilst I have no love for visiting the dentist, I do look forward to having fresh rubber on my wheels. Does that make me strange? Probably. We all know how important tyres are. Not only are they the only thing that connects your car to the road, but they can also affect the steering, the brakes, ride quality, the level of road noise and how many miles you can expect out of a tank of diesel. It’s why carmakers spend a huge amount of time, effort and money working with the tyre companies to perfect the choice of tyre for their latest model. The Citroën Grand C4 Picasso Exclusive+ benefits from having a very good tyre. The 18-inch Python alloy wheels are wrapped in Michelin Pilot Sport 3s, widely considered to be up there with the very best tyres you can buy. Once upon a time, such a sport and performance-oriented tyre would have been considered overkill for an MPV. 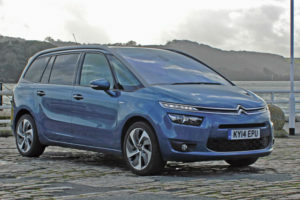 But Citroën clearly thinks differently, and potential Grand C4 Picasso buyers should see this as a benefit. No matter what you drive, choosing a good quality tyre is essential. That said, you can understand why some motorists may look for a cheaper option when it comes to replacing the tyres. The price for a pair of new Pilot Sport 3s, fitted at my local Citroën dealer, was £426.22. Whichever way you cut it, that’s an awful lot of money to suddenly find. The temptation to go for a mid-range or even budget tyre would be strong. And let’s not forget the Grand C4 Picasso doesn’t have a spare wheel. So if your tyre needs replacing in the event of a puncture, you’re going to be paying for it. Yes, you will find a better deal by shopping around, but it’s why you should factor in the cost of tyres and servicing when looking to buy a new or used car. Even within the first 50 or so miles, the tyres have improved the way the Citroën feels. The steering is more direct, there’s a lot more grip when pulling out of junctions and I suspect the fuel economy will also improve. I can’t help feeling there’s a touch more road noise, but I’ll reserve judgement on that until the next report. Aside from that, all is good with Citroën’s flagship motor. Whilst waiting for the new tyres to be fitted, I listened to a chap being shown around a brand new Grand C4 Picasso Exclusive+ in the showroom. There’s no doubt this car has huge appeal. With all the bells and whistles, along with a gloriously spacious interior, it’s easy to be seduced by the MPV. How many people actually go on to order the top trim Exclusive+ model is something I’ll need to find out. 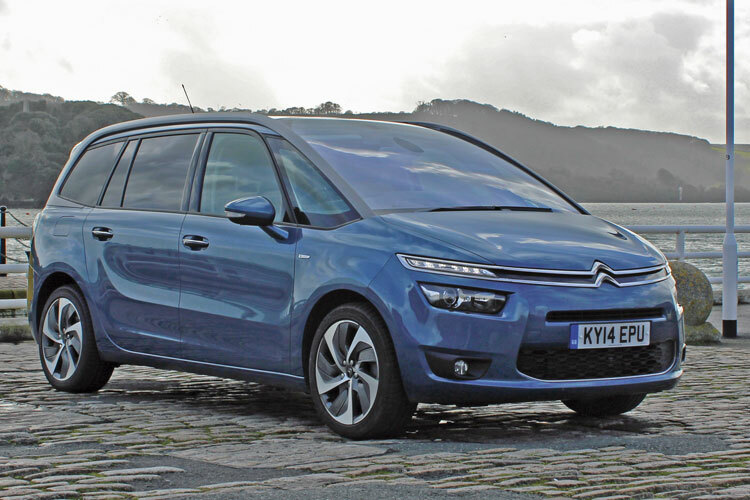 (It’s the best selling Grand C4 Picasso, with 34 per cent of buyers opting for it last year) Ed. The brilliant cap-less fuel filler is a tiny detail I’ve grown to love. I miss it on cars without it. The automatic transmission can often hold on to the wrong gear for too long, especially driving downhill.